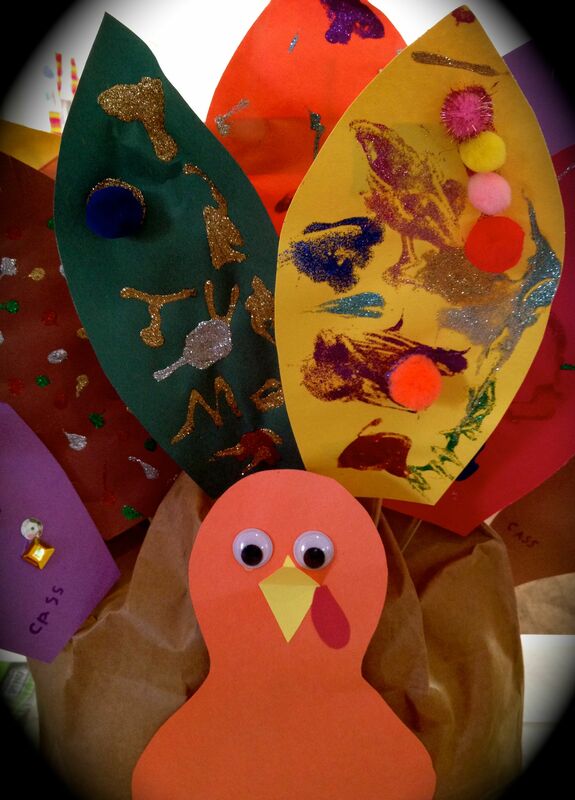 We loved this easy class turkey made from a paper bag stuffed with leaves. 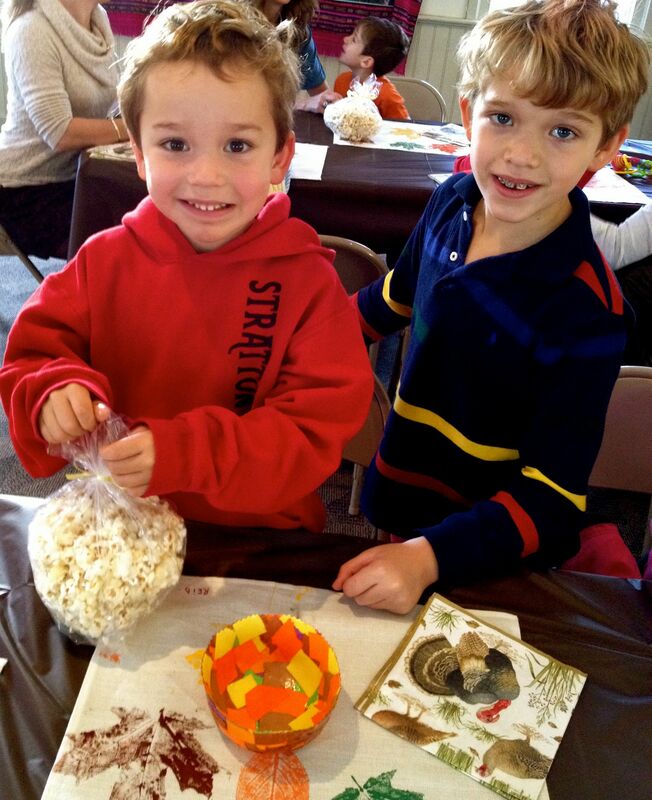 Every child contributed a “feather” attached to a small dowel. 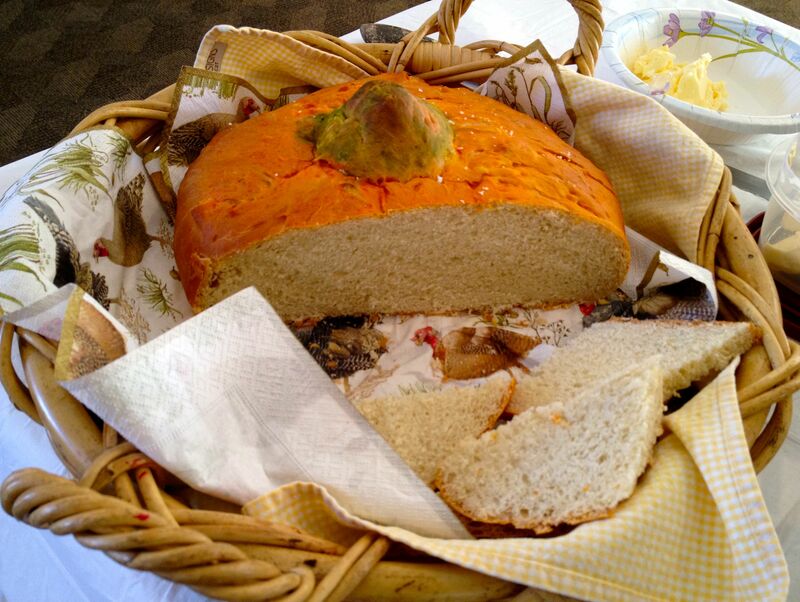 The class also made this beautiful pumpkin bread, and they made the butter too! Not withstanding his infatuation with rocket ships, Scooter was very happy to have Bounce join him for his feast. 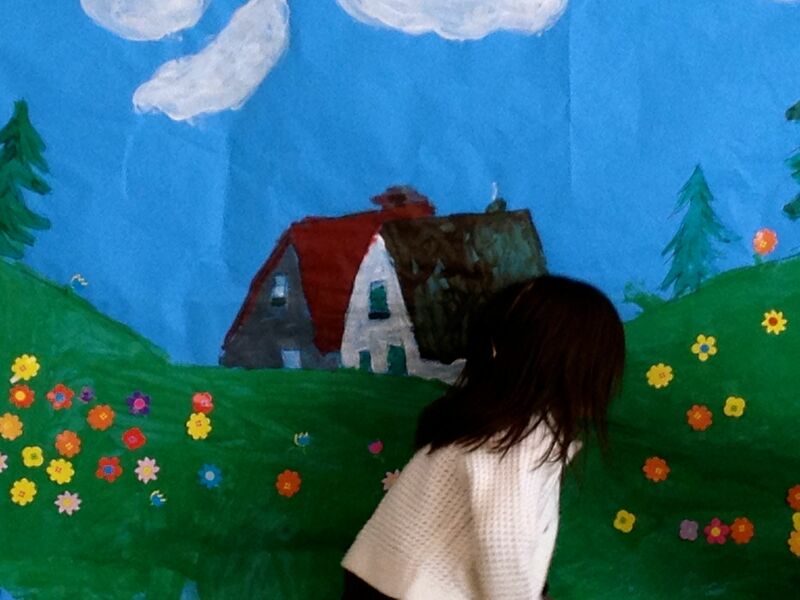 My favorite fantasy moment was watching the children interacting with a painted background. 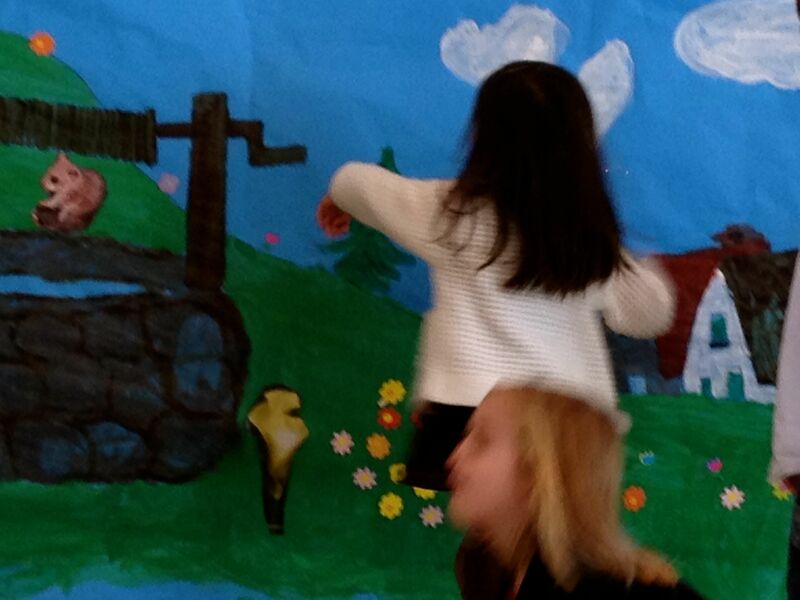 They happily ran to visit with butterflies, smell the flowers and attempt to draw water from the painted well. 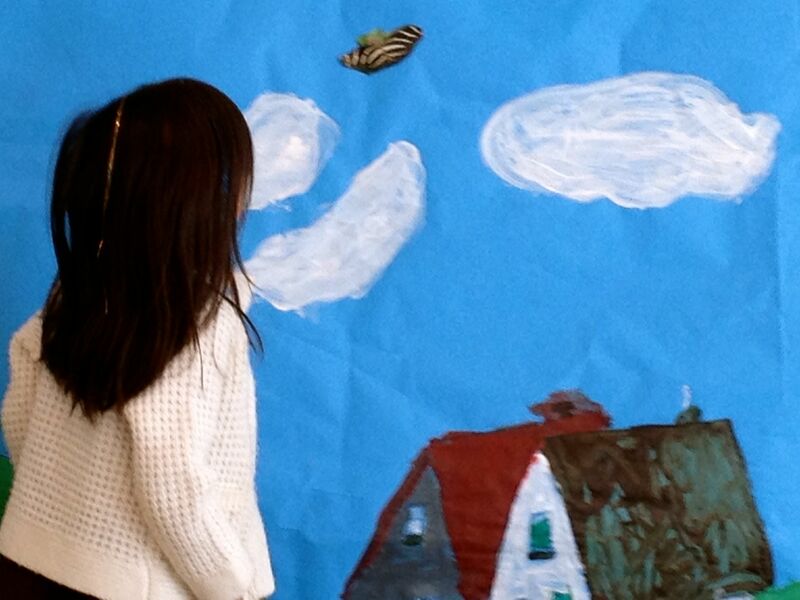 Let Me Count the Days: Homeschooling is enjoying the scent of painted flowers and the flutter of tempera butterflies.